Sensual swirls of yellow. An ode to the sunflowers. Wear both sides. 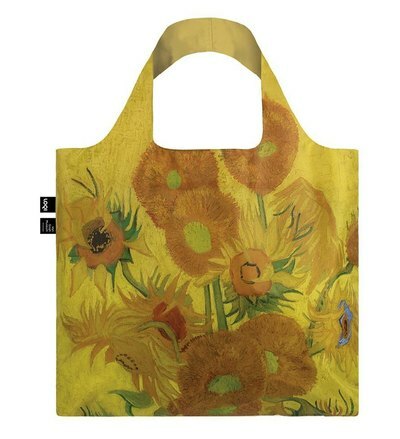 I’m reversible.We teamed up with highly-acclaimed Van Gogh Museum to bring you the fusion between high art and everyday fashion. Carry your new weekender wherever you go. Consuming colours. Sumptuous swirls. Painfully painterly. Dutch artist Vincent van Gogh is one of the world’s most well-known artists. He only painted for about 10 years, yet he produced more than 2000 works—all in his unmistakable, signature style. Van Gogh Museum, located in Amsterdam and shows the world-famous and most recognizable Van Gogh's paintings like Sunflowers, Almond Blossom and The Potato Eaters.